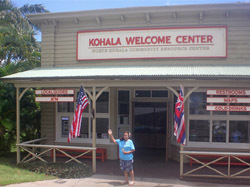 North Kohala Community Resource Center’s long-awaited Kohala Welcome Center is now open to the public. The center has completed the public restrooms and a beautiful hallway of storyboards for both the community and visitors to enjoy. The corridor tells the story of Kohala both past and present. 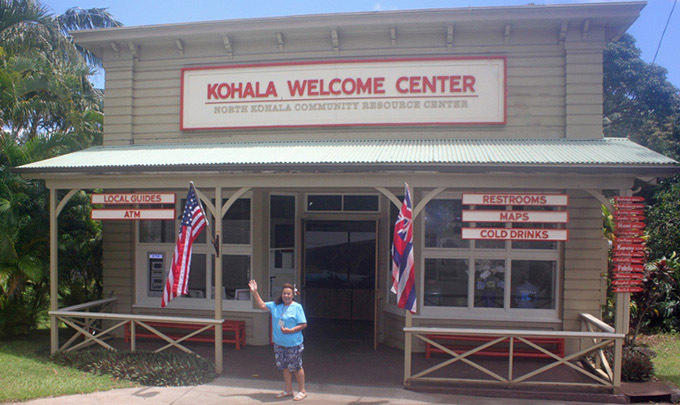 To enhance this experience the center has launched a ‘Kohala Guides’ program with volunteers from the community who greet visitors, answer questions and provide additional information to make their visit the best possible. A blessing and dedication by Senior Club president Kealoha Sugiyama is scheduled for Saturday, February 18, from 4 to 7 p.m. Along with the blessing, NKCRC will be celebrating its 10th anniversary by recognizing eight of the original sponsored projects that continue to thrive including KCAA, the Kohala Coqui Coalition, the King Kamehameha Statue Maintenance project, Kohala Football Boosters, Malama O’ Kohala Cultural Resources, the Konea o’ Kukui Garden Restoration, WasteStream recycling and the Kamehameha Day Celebration. Light pupus from many local restaurants and local musicians will be featured, along with a cash wine and beer bar. Donâ€™t miss this wonderful event to celebrate our community and these project organizers for their great work in North Kohala. Please join us, relax a bit, talk story and share a special aloha with people who know and love the community. Call 889-5523. The Welcome Center is open 9 a.m. to 4 p.m. weekdays, 10 a.m. to 2 p.m. on Saturdays and Sundays.